Happy 4th of July from the Surf City Taxpayers Association! We are entering the two most happening months of the summer here in Surf City! 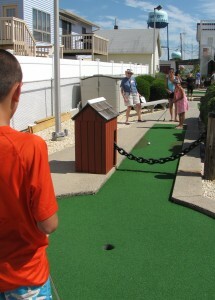 This upcoming week, do not miss our annual Foul Shooting Contest, Fireworks, Mini Golf Tournament, and another Surf The Sidewalk Event with the Surf City Business Cooperative. Come out and enjoy shooting some hoops this Friday, July 6th at our annual Foul Shooting Contest. Girls and boys through age 18 have the chance to show their basketball skills and compete for cool prizes. The event starts at 10:00am atRichard A. Zachariae Field (Division St. & Barnegat Ave, Surf City, NJ 08008). Mini Hoops for ages 6 and younger! Over 80 merchants in Surf City have banded together to form The Surf City Business Cooperative, with a mission to market the unique tourism and commerce elements of our town. 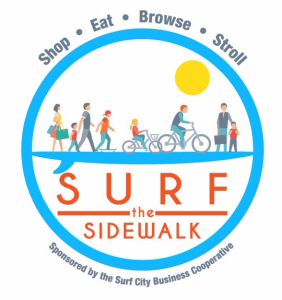 On July 12th from 10:00am to 6:00pm, pop into all the galleries, boutiques, restaurants, and professional service establishments in Surf City. You’ll get free samples, see great sales, and find all kinds of special events! Look for the sign you see to the right at participating businesses, or click below to go to the SCBC Website. Celebrate 4th of July on LBI with Fireworks at Taylor Avenue Park, BEACH HAVEN, New Jersey, NJ – 08008. Event starting at Sunset! 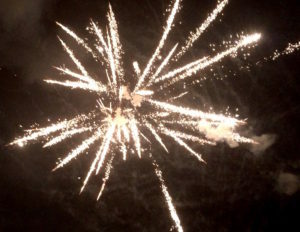 Click HERE to see a full list of Fireworks Displays in NJ! On Wednesday, July 11th at 10:00am to 11:45am, join us at Island Golf (6th Street & The Blvd) for the first of our annual Mini Golf Tournaments. Compete for fun prizes!